Up to 85% off sale items at Body Shop? The Body Shop is a British cosmetics, skincare and perfume company that was started in 1975 by Dame Anita Roddick with the aim of bringing natural and ethically sourced products to the public. Over forty years later, the shop has over 3000 shops in over 60 countries and has become a household name in Australia. The Body Shop’s products are completely vegetarian and they have never been tested on animals - Body Shop considers it their mission to educate its customers about ethical issues and is proud to have made an strong impact worldwide. 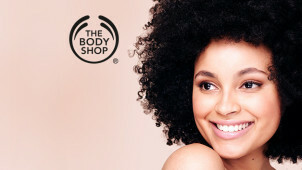 With thousands of stores across the globe the Body Shop name offers all the quality of its competitors at a inexpensive price, whilst benefiting the planet. People nowadays are aware of the benefit of natural ingredients and the Body Shop does its very best to provide the biggest range of quality products that provide natural solutions to all of your skincare, haircare, makeup and fragrance needs. How do I use my Body Shop promo code? Sign up to Body Shop’s eNewsletter and get $10 off your first purchase when you spend $50 online. Where can I find my nearest Body Shop? Click here to use Body Shop’s store locator. Does Body Shop cater for corporate orders? Yes it does. Contact the Body Shop’s customer service team and find out more about Body Shop’s corporate service. Can I add a message with my Body Shop gift order? Yes you can. This service is free and can be personalised at the checkout stage. Email: Click here to email Body Shop. Body Shop has a 30 day return policy. The Body Shop is the ultimate retailer if you like your beauty and skincare to be natural. Use our Body Shop promo code and make the most of its enormous selection of alluring smells and lovingly crafted health products. Every item sold by the Body Shop is sourced responsibly, boasts no animal testing and its ingredients are sourced from Fair Trade farmers. Make the most of the Body Shop’s unrivalled quality, unwavering dedication to ethical products and unbeatable prices. The Body Shop might have a reputation as one of the first retailers on a woman’s list when going shopping, but did you know that the Body Shop now caters for men with its own category? The Body Shop offers a range of skin & shaving creams, moisturisers, hair care and deodorants, ideal for the ethically conscious male who likes to look and smell good. The Body Shop is proud to offer some of the most effective and gentle skincare products out there. Not only that, they are also ethically sourced and completely natural! Use the Body Shop coupons available on the website and leave your skin deliciously soft, luxuriously clean and beautifully smelling. Forget the overpriced and artificial skincare products that promise the earth whilst emptying your bank account - try out the Body Shop skincare regime today.